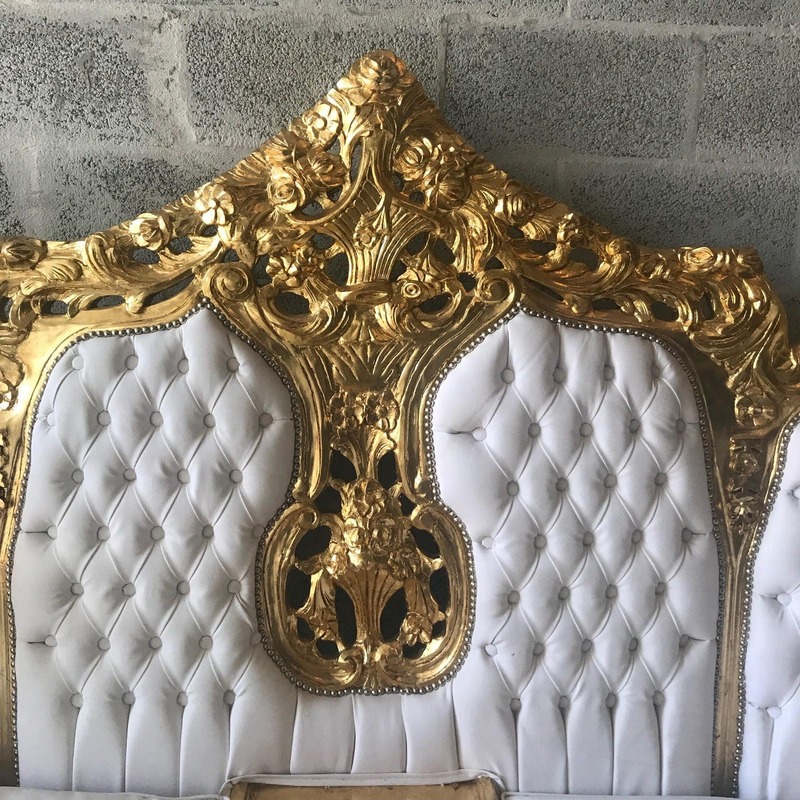 Beautiful top of the line 3 piece Rococo style set. 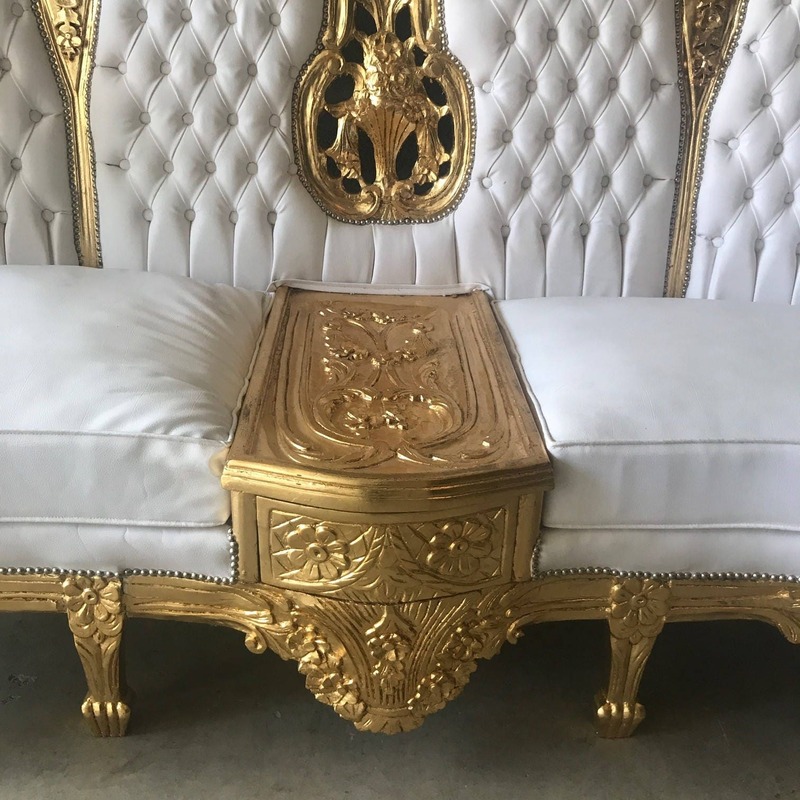 The entire set was refinished in Italy using top of the line Gold Leaf and also reupholster in new white tufted leather with nail heads trim. This is a very heavy set. The carvings show stunning detail and craftsmanship. 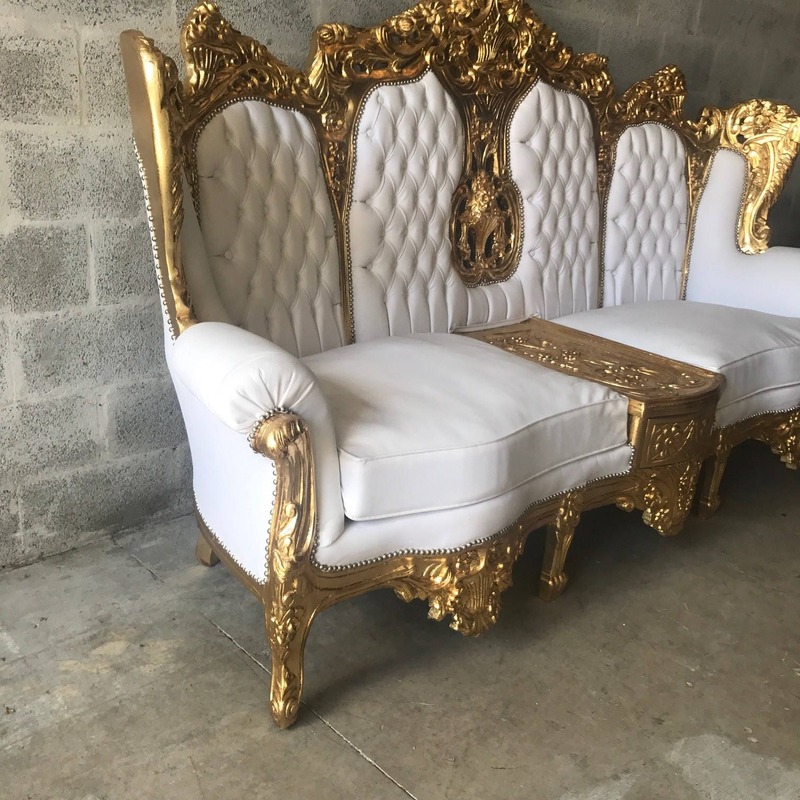 The sofa is large and can easily sit 4 adults. 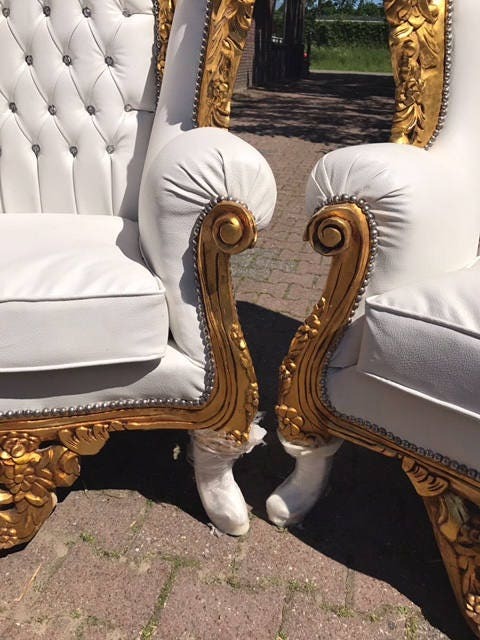 In the middle of the sofa you find a secret drawer that its fully functional. 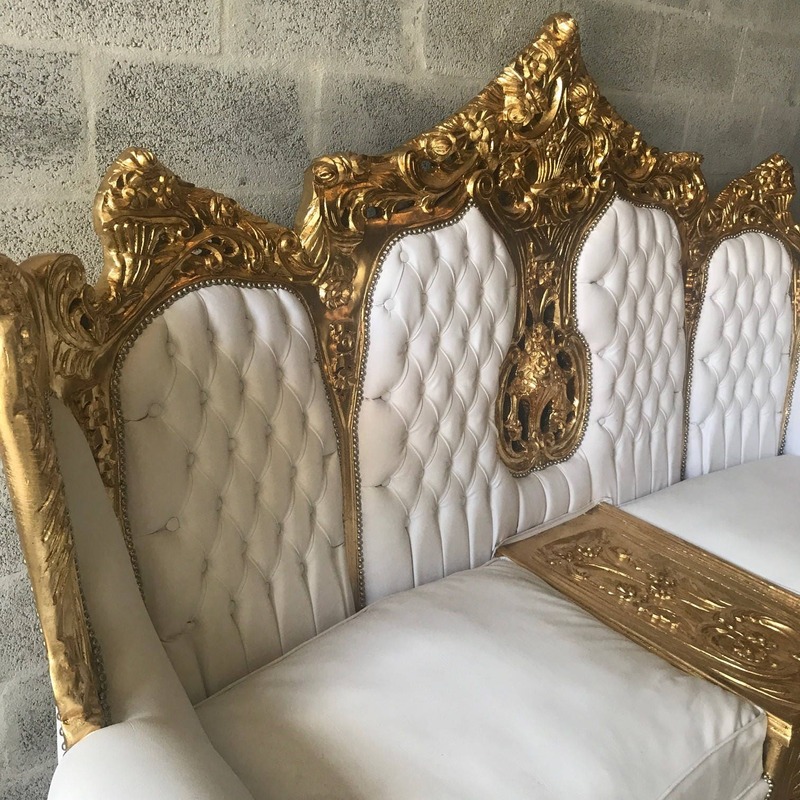 If you were looking for the top of the line Rococo set...this is it! 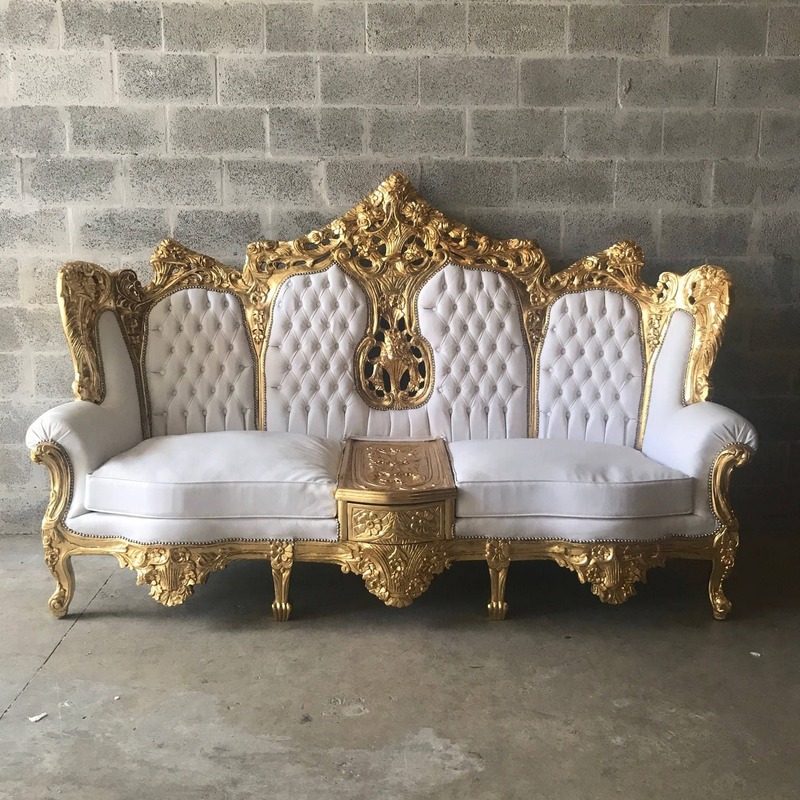 The sofa probably weights about 250 pounds or more. It will require 4 men to load and unload. Buyer needs to make sure he/she is able to get help to unload. Usually our third party drivers deliver in pairs. 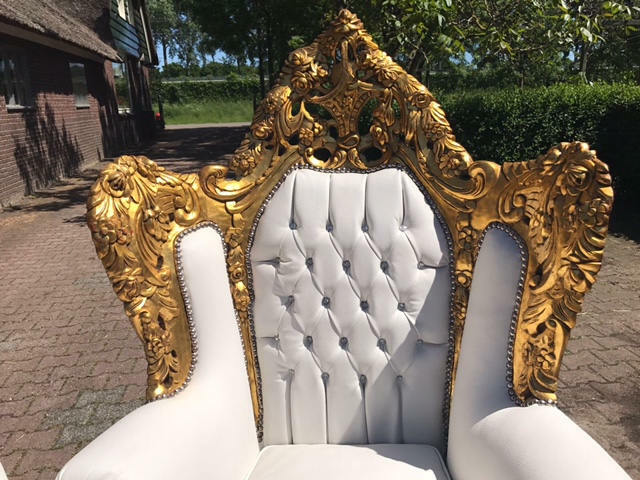 The correct color of the gold leaf is the color shown on the sofa. 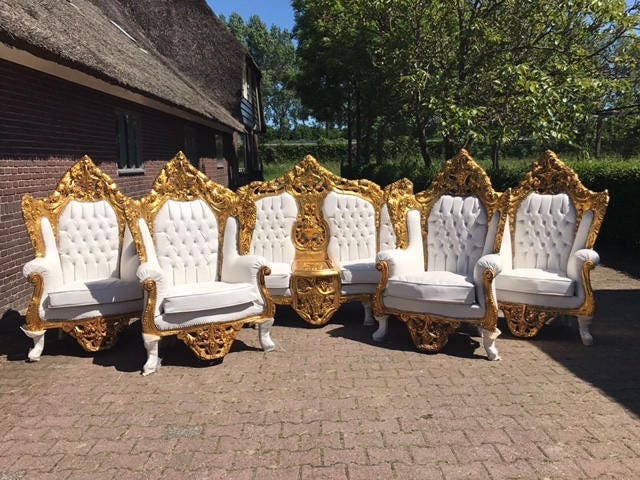 The pictures of the chairs look a little darker but please use pictures of the sofa for better description of the color. 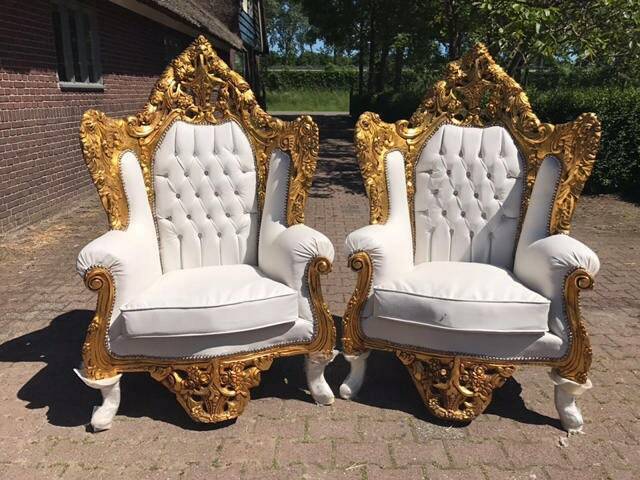 Dimension Throne Chair: 38"W x 58.5"H x 32"D.
Dimension Throne Settee: 97.5"W x 61"H x 32"D.